CHICAGO – Bring your sister! In the latest HollywoodChicago.com Hookup: Film, we have 40 pairs of advance-screening movie passes up for grabs to the new comedy “Sisters” starring Amy Poehler and Tina Fey! Bring your biological or sorority sister! CHICAGO – Renny Harlin’s “12 Rounds,” starring the WWE’s John Cena and now available on Blu-Ray and DVD, is a shockingly dull affair, an action film that tries to maintain a breakneck pace but forgets that movie rollercoasters are only fun with ups AND downs instead of just a numbing series of stunt sequences. 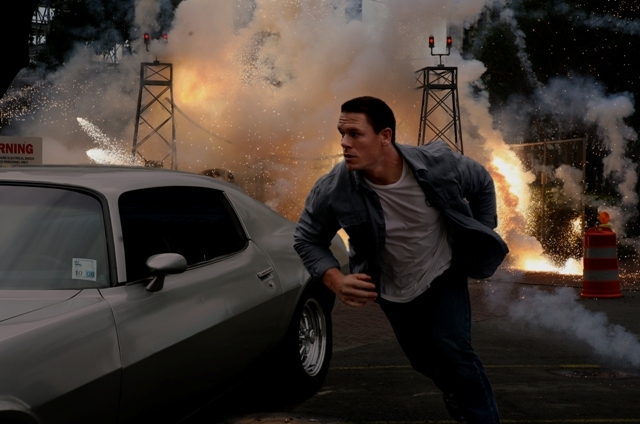 John Cena as New Orleans Police Detective Danny Fisher must complete a series of near-impossible puzzles and tasks - 12 rounds to save the life of his girlfriend. CHICAGO – This 4-image slideshow contains the press images for Fox’s “12 Rounds,” starring John Cena, Aidan Gillen, Ashley Scott, Steve Harris, and Brian White. Written by Daniel Kunka and directed by Renny Harlin, the film opens on Friday, March 27th, 2009.